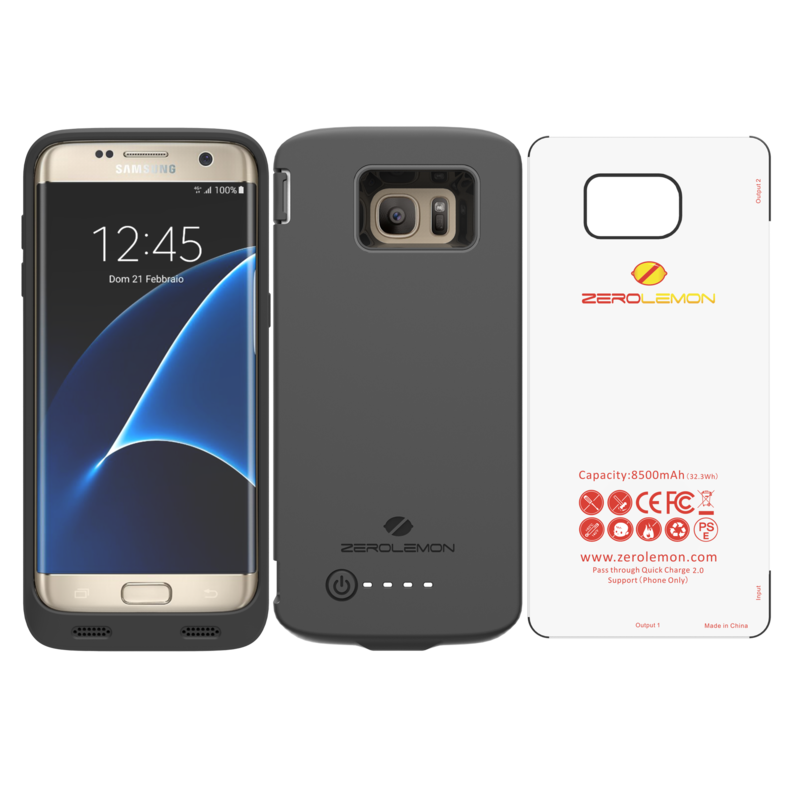 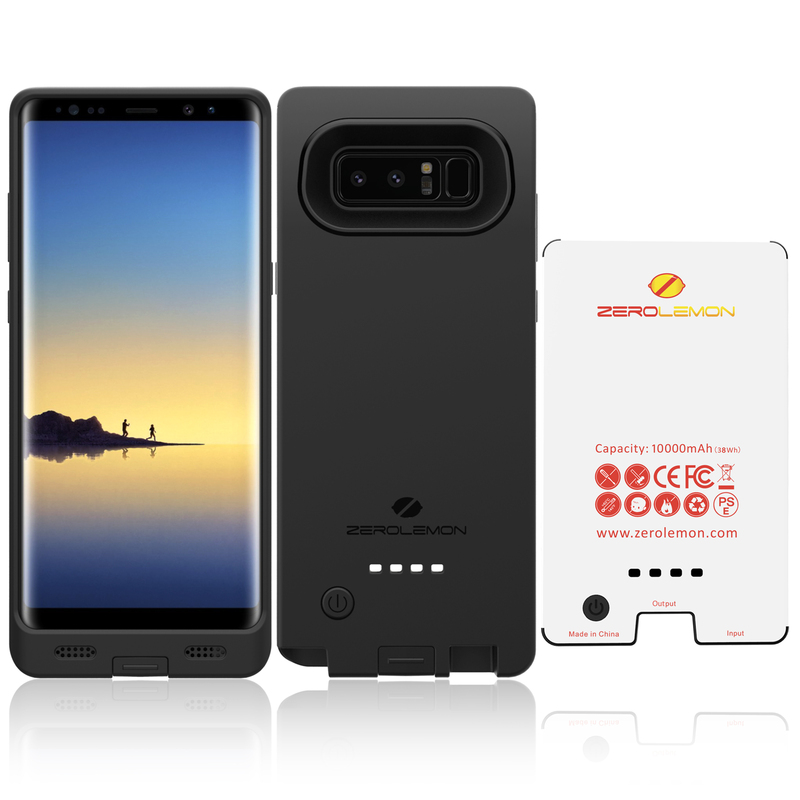 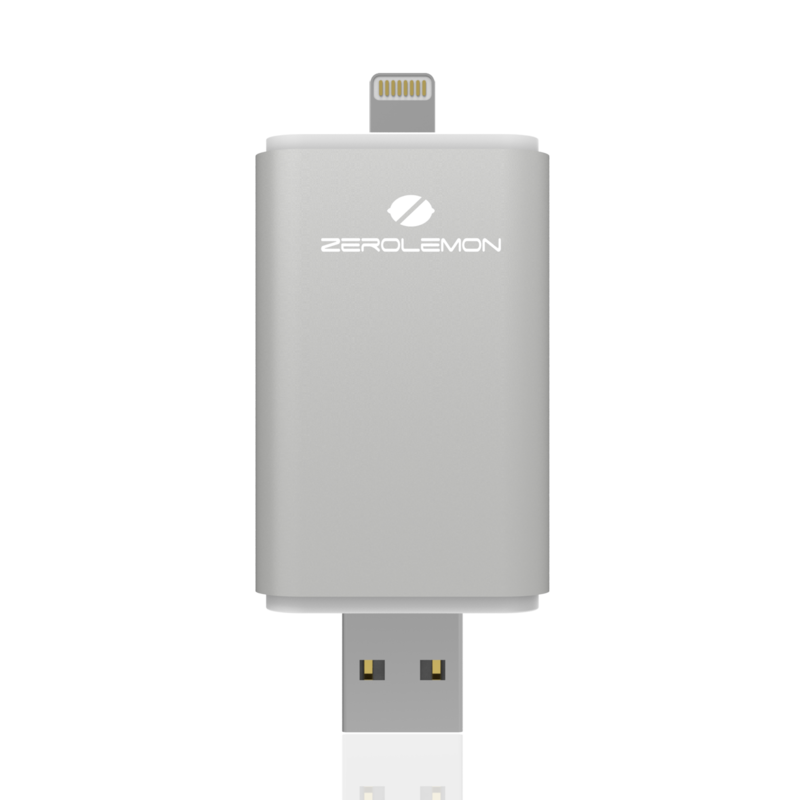 Powerful 10000mAh Li-polymer extended battery effectively provides 200%+ extra battery life to your Galaxy Note 8. 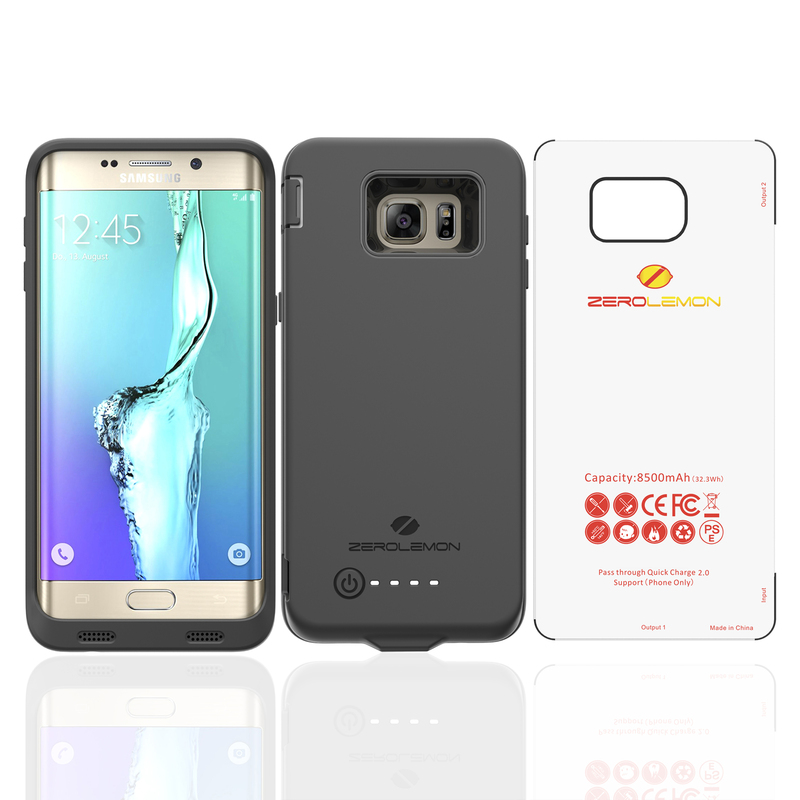 Slim Power protects your Note 8 from scratches and other daily wears and tears, yet it’s small and convenient enough to fit easily in your hand or pocket. 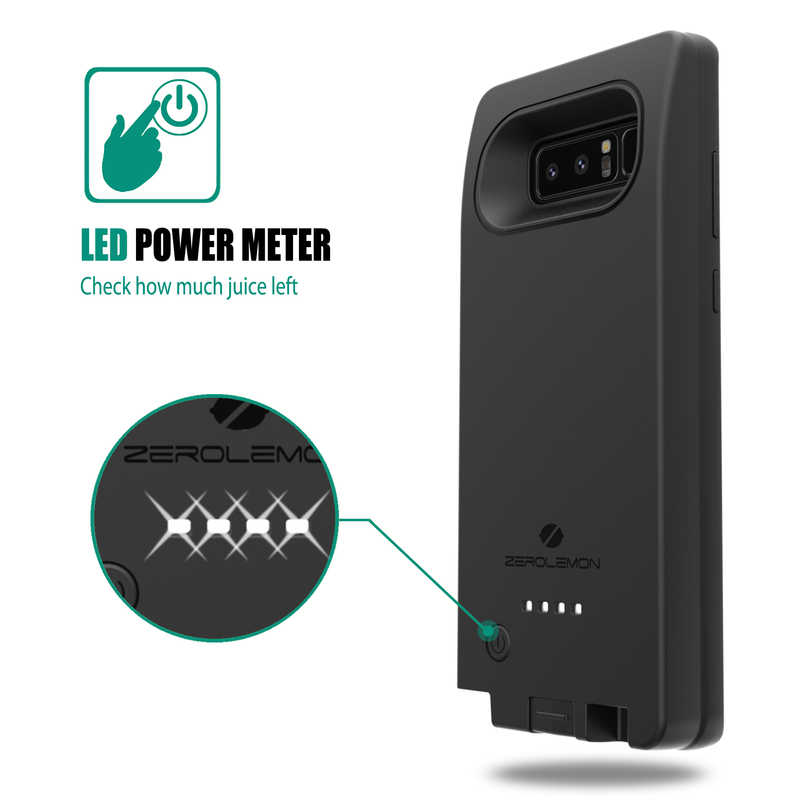 4 LED colors indicate the battery levels and charging status. 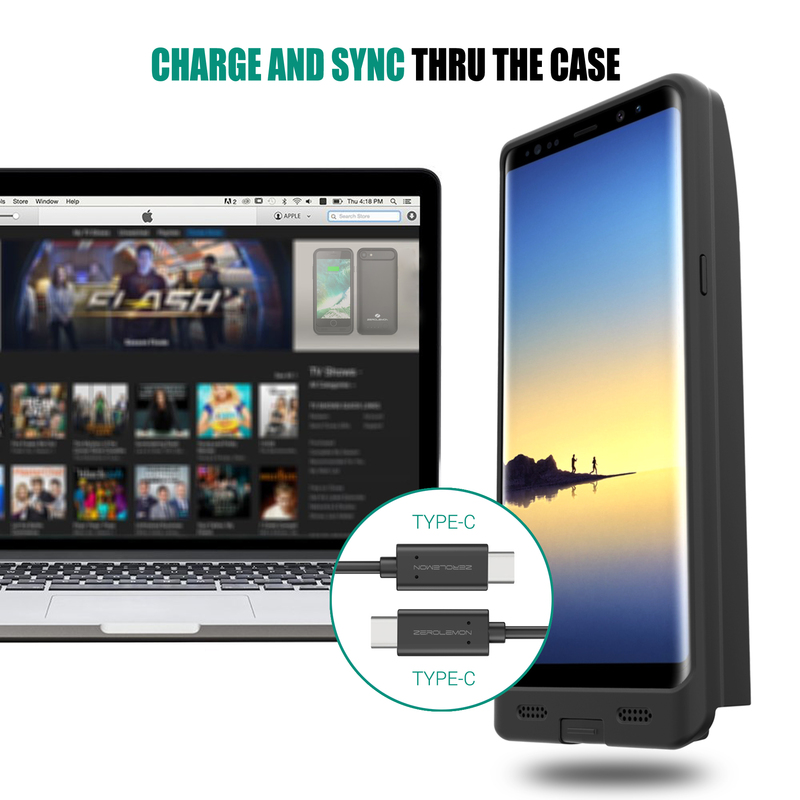 Sync phone to Computer – File transfer technology supported. 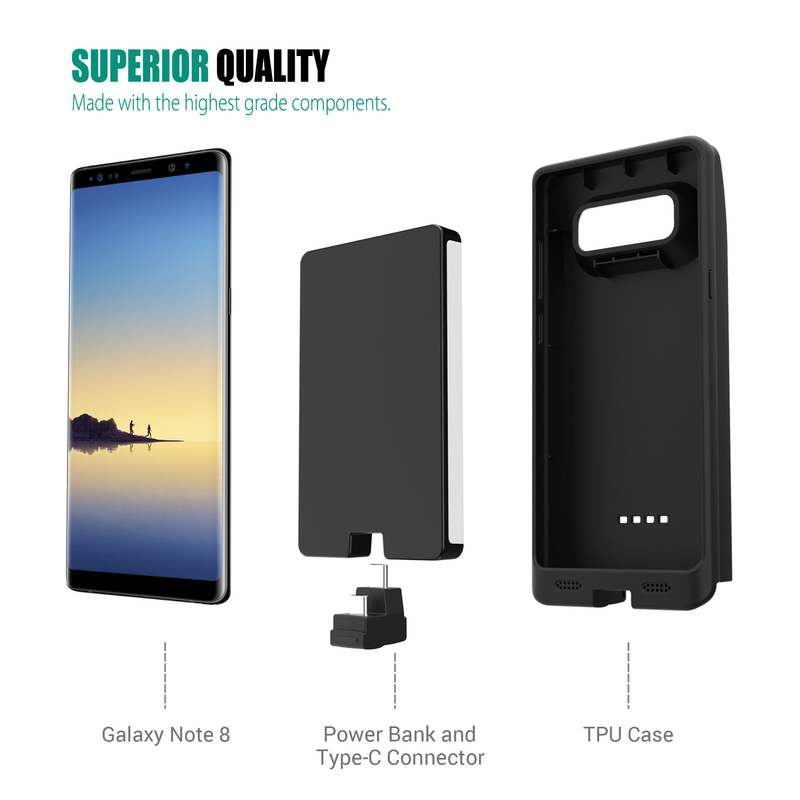 Transfer data and file from Note 8 to a computer without the need to take the battery case off. 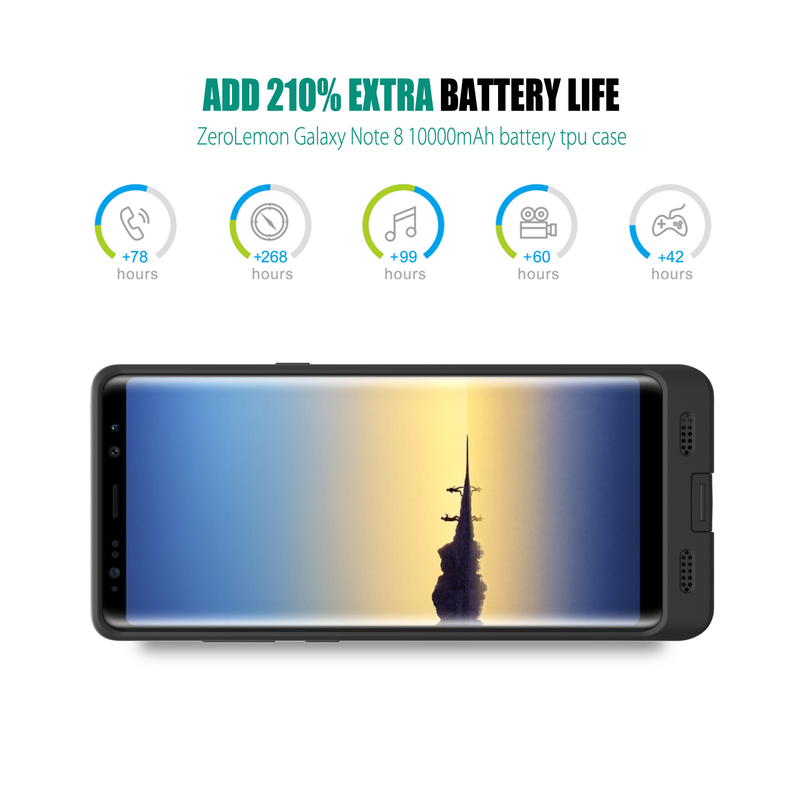 Provides additional 200%+ charge to your Note 8, which is equivalent of an additional 48+ hours of talk-time, 32+ hours of movie-time or 148+ hours of music-time. 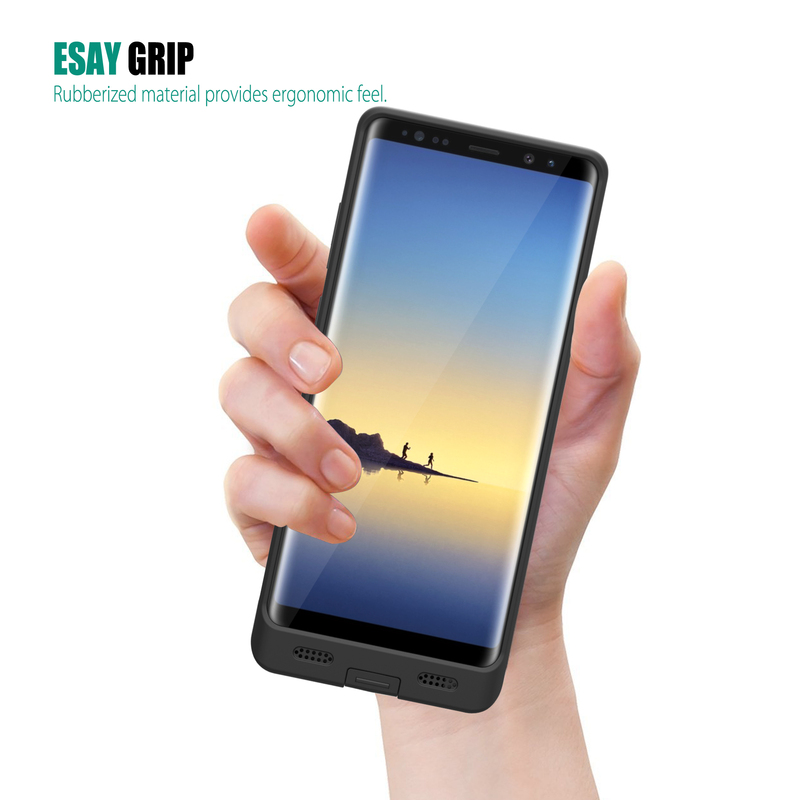 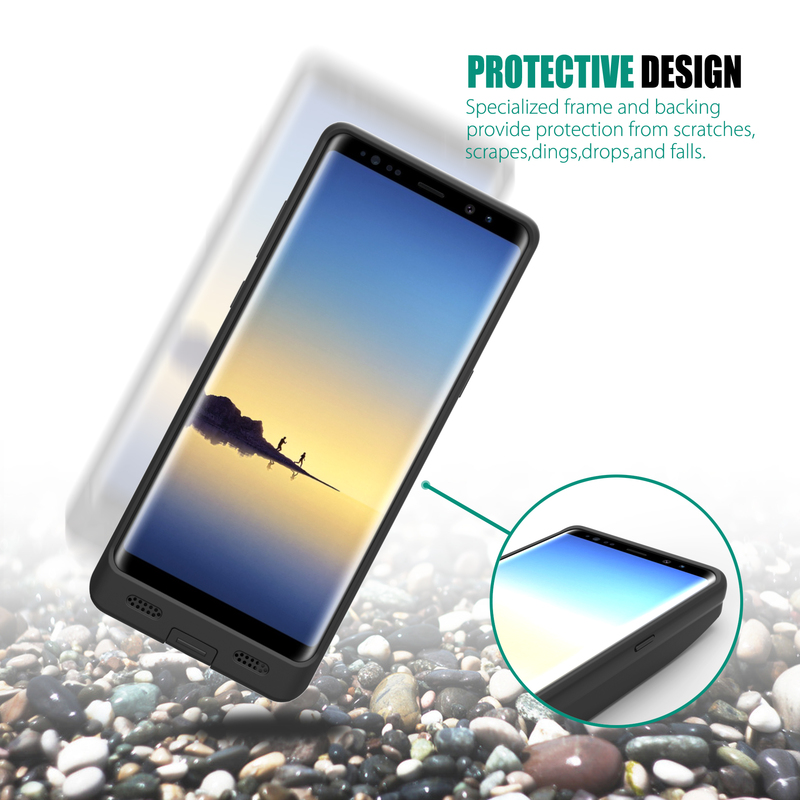 Full-edge TPU case offers 360° protection to your Galaxy Note 8. 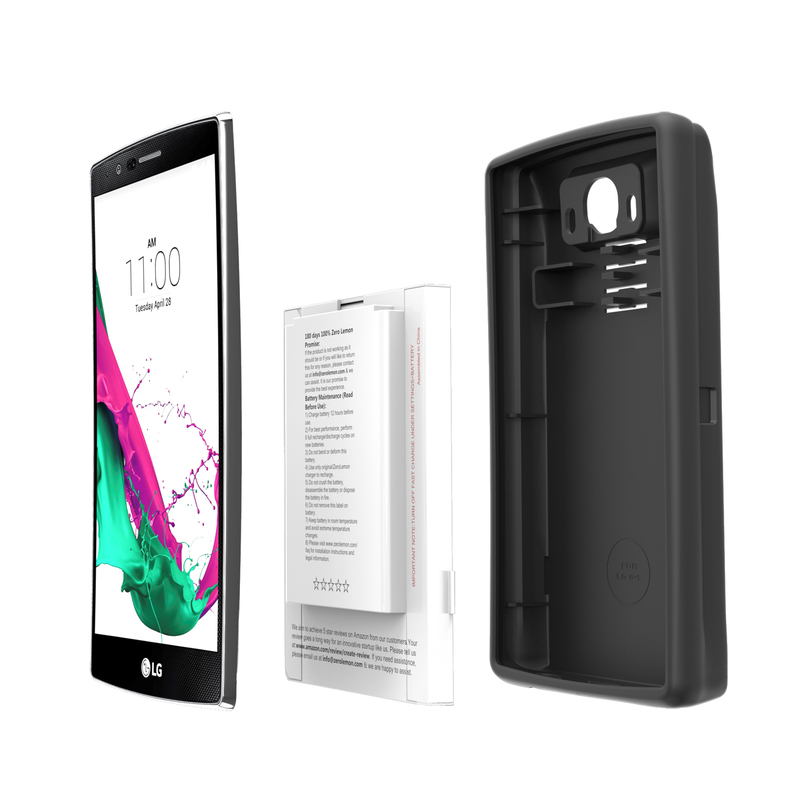 Just simply insert the phone into the battery case and position the U-shaped connector for installation.